This summer, Americans were reminded about the serious nature of foodborne illness when more than 600 cases of an unidentified stomach flu began to crop up in Iowa, Texas and other states. The U.S. Centers For Disease Control and Prevention linked 240 cases to a Mexican farm, but the remaining cases were left without answers. Hand washing remains the best lines of defense against foodborne illness and disease. While health experts continuously preach the virtues of hand washing, researchers say hand drying may be just as important in the fight against infection. The CDC reports that the transmission of bacteria is more likely occur from wet hands than from dry hands. Though, the organization considers proper hand drying after washing an essential component of hand hygiene, researchers at the Mayo Clinic say the role of hand drying has not been widely promoted and is often overlooked in conversations about disease prevention. There are generally four methods for drying hands: with paper towels, under air dryers, on cloth towels, or through evaporation. While most people express a personal preference toward a particular hand drying method, recent studies aim to shore up anecdotal sentiments with science. Over the past few years, researchers have indicated that paper towels may provide more hygienic benefits than previously acknowledged. 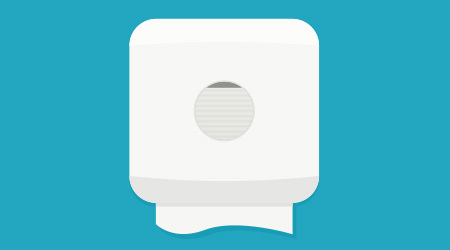 With high consumer preference levels and the ability to physically remove soils and microbes, paper towels have earned their mark as the go-to hand drying method in many building environments. For jan/san distributors who play an essential role in the health of a facility, it’s important to have a pulse on the research that is coming out of the academic community surrounding hand drying methods, as well as keep an ear to the ground to hear what customers are saying — especially those who operate in healthcare environments where maintaining proper hygiene is paramount. It’s the perfect position for distributors to flex their consultative muscles, says Jim Smith, executive vice president at HP Products in Indianapolis. With paper towels, visitors can dry their hands and “get on down the road,” he adds.